December was a very busy months for avian patents and January is proving to be no different. We began with a steppe buzzard that was suspected to be hit by a car. He had a suspected neck injury as his head was rotated almost 180 degrees. He was kept hydrated and put on a course of anti-inflammatory. For the first week He was eating very well on his own and thankfully picking up lots of weight as he was very skinny on arrival. However, he slowly began to eat less and less and there was no improvement and we began to wonder if he in fact had a head trauma as he began to flip over in rotations. After no signs of this behaviour coming to an end, we agreed it was in the bird’s best interest to put him down. 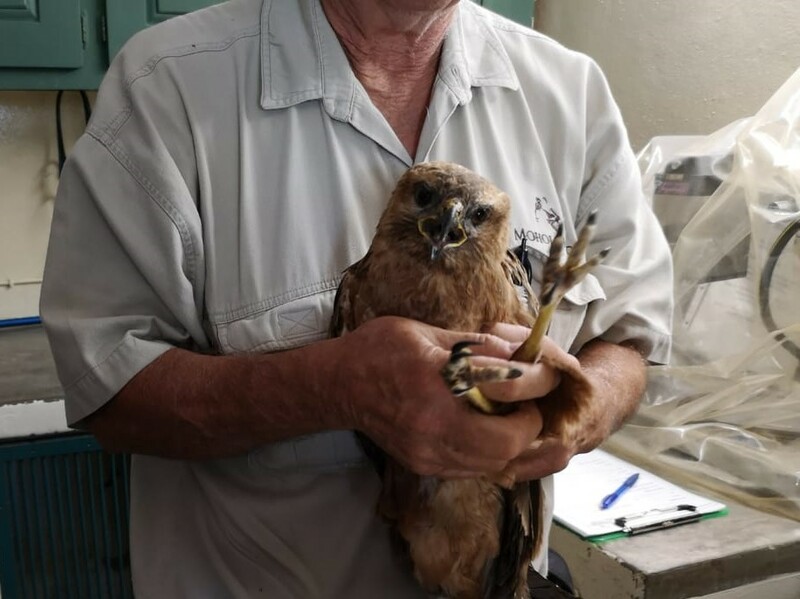 Later the same week a second steppe buzzard was admitted to the clinic, this time the bird had a spinal injury causing paralysis of the legs due to being hit by a car. Similarly, he was also put on anti-inflammatory and physio was performed throughout the day in hope that some movement in the legs may come back. Unfortunately, a couple of days after his admittance he passed away.